I chose Morse Code for my ancient Tech, and i made this little space adventure game, Morris is an astronaut who is lost in space on each level he is presented with 6 portals 5 of them will kill him 1 will advance him to the next level. By Decoding the Morse Code in the audio you will be able to choose the correct portal. This is fun to play as a team you will need to google a chart that will help you decode the Morse code and you'll need a pen and paper to write down the answer, this could also work well played through a stream so someone viewing could decode the morse. My original Intention was to include a document with the download which included a chart but time got the better of me i will try to add this at later date. The Game was built with Shoot Em Up Kit, a program i have been using a lot for jamming recently and i really like it you can create a lot more than just Shmups with it. 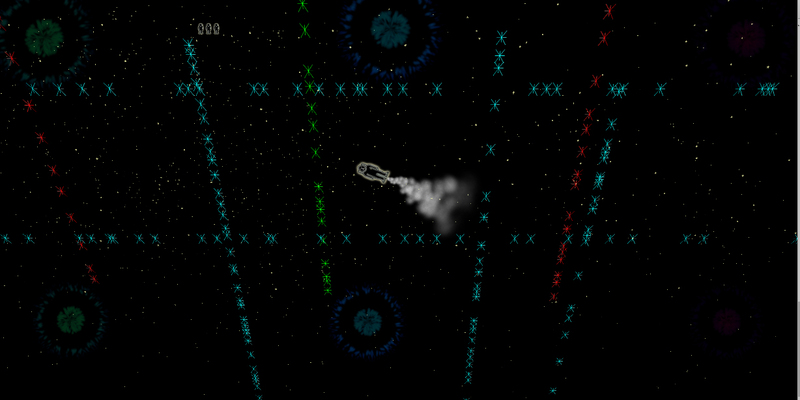 The Graphics where done in Photoshop and everything else was built in Shoot Em Up Kit's Particle Editor. If Playing alone Headphones Reccomended. This game was a bit experimental and was fun to put together.